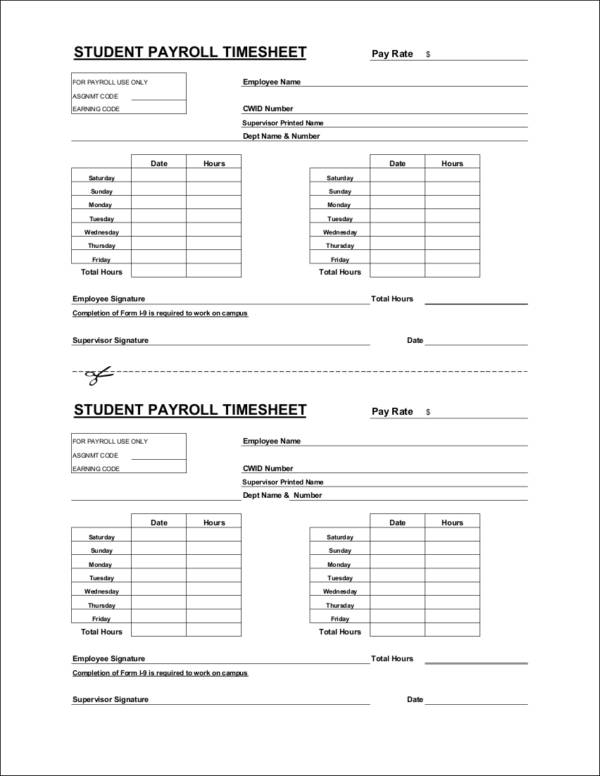 A payroll system is a fundamental part of any organization or business. Businesses don’t often see the importance of creating an accurate and effective payroll spreadsheet, especially new companies and organizations. As we all know, proper documentation is an essential process needed in every business, whether it involves transactions with clients/customers or with your employees. In order for a business to do this, creating a proper payroll is key. 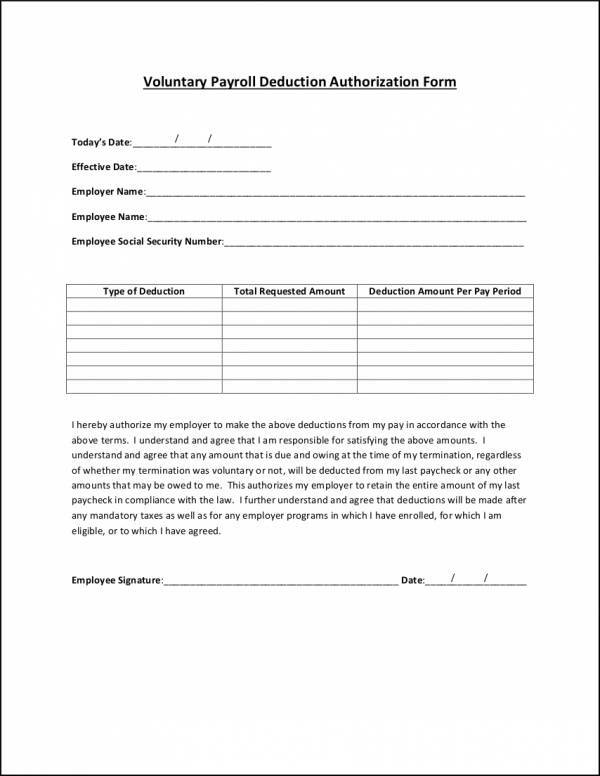 A payroll is a document or tool that is used to outline all the necessary details regarding the compensation of the employees of the company for a particular time period. A business payroll department is responsible for creating a payroll document, as well as in ensuring that the company follows the various legislations being implemented by the government. This is important in order to protect the reputation of the business, as well as the morale of the employees who are working for the business. 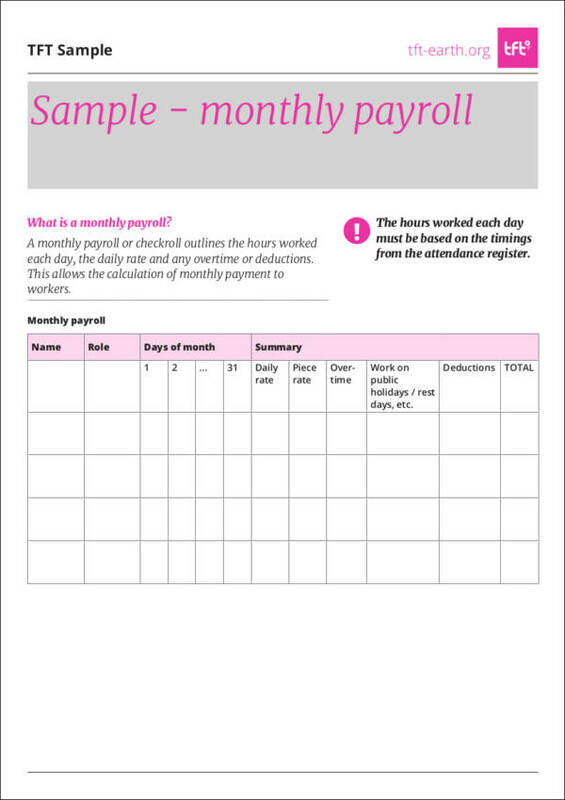 If you need to create a highly usable payroll for your business, you can browse through the payroll templates and samples that we have provided in this article to help you outline and create your payroll. 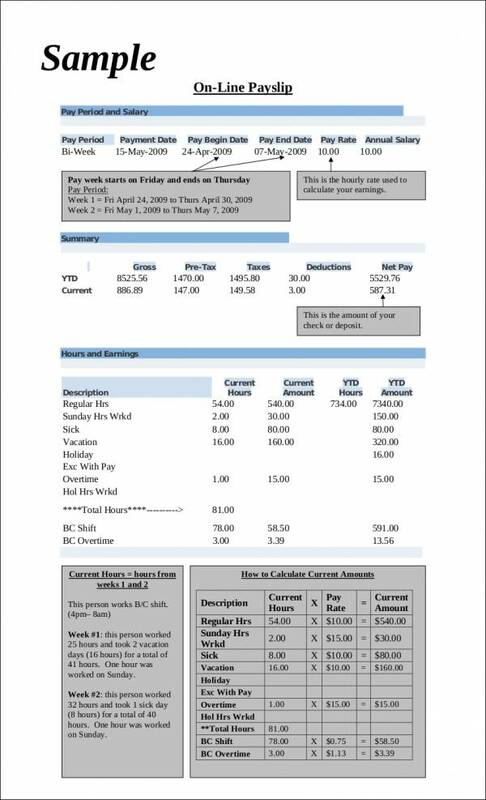 Aside from this, we will also elaborate more on the important steps to set up a payroll, the steps for creating one, the components that you need to include in your document, the essential terms that every employer must know, plus some tips that will help you create an organized and useful payroll for your business. In a payroll, the gross compensation refers to the compensation or the salary that you will provide to your employees. 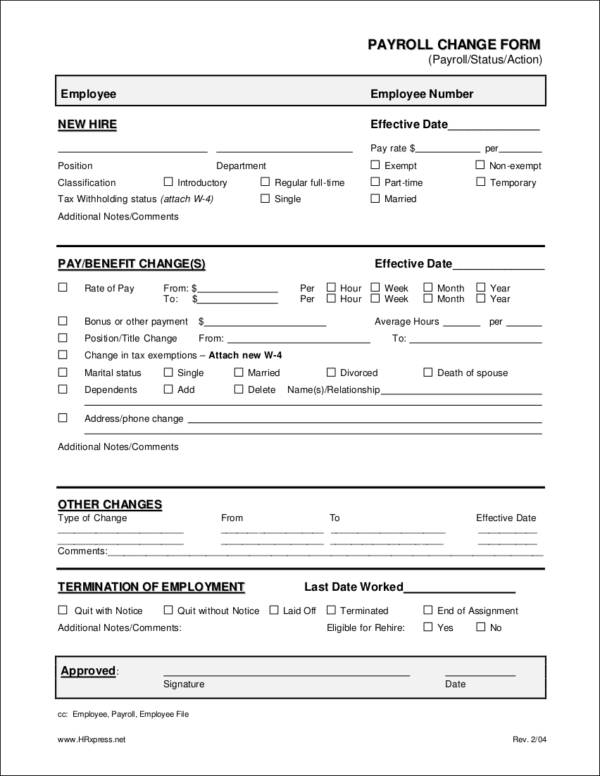 It contains a detailed sample outline of the basic pay or the base salary, overtime pay, holiday pay, and other benefits that the employee will receive for that particular time period. An employee is usually paid at regular intervals, either on a weekly, biweekly, or on a monthly basis, depending on the company or business. Furthermore, gross compensation refers to the total amount that an employee will get before any deductions are made. 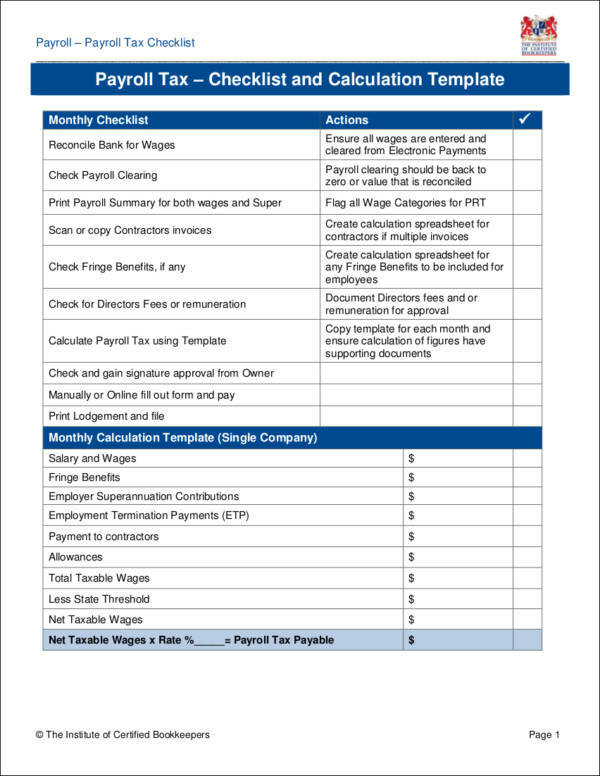 You can also see Payroll Tax Calculator Templates. The recurring items found in a payroll refers to the items and amount that are either credited or debited from an employee’s gross compensation or salary. These items include the transportation allowances, loan payments, and meal allowances. These items may be deducted for a particular time period or throughout the employment of the individual or person in the company. Aside from the recurring items such as the allowances and loan payments that are deducted from the employee’s compensation, other items like social security and health insurance tax are also deducted and outlined in the payroll. Although the company usually pays for the costs of health insurances for their employees, retirement programs, and other items, a percentage of these costs will also be deducted from the payroll of the employee. In every company, every employee is required to pay a certain amount of taxes from their salary. These taxes are called state, income, and federal taxes. The amount that will be deducted from an employee’s payroll may vary depending on where the company is located. For individuals who do freelance work, taxes and other charges aren’t deducted from their gross workers compensation since they are not considered regular employees. Freelancers are still required to pay their taxes to government entities. Preparing a payroll involves various processes such as gathering data and information, calculating pay, and making deductions. Understanding the steps needed to be done is essential in order to make it easier for you to create a comprehensive and highly usable payroll system. 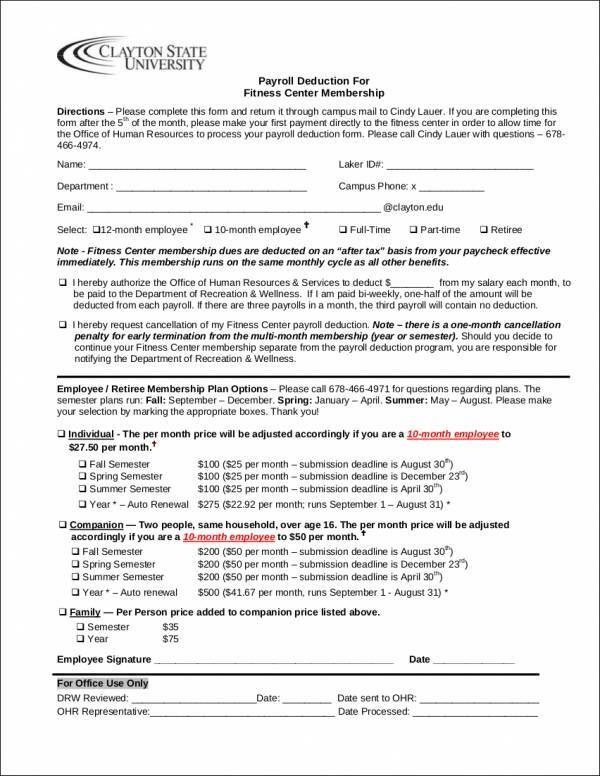 Below, we have provided the steps for preparing and creating a payroll for your business. 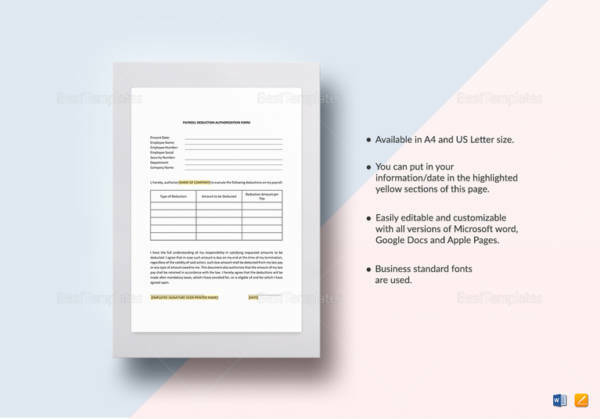 The first step that you need to do is to gather all the important documents that contain the needed information request for the creation of a payroll. In order to calculate the employee’s pay, you have to multiply the number of hours that they have worked for a particular period to their hourly rate. This is applicable to wage employees or employees that are paid on an hourly basis. For salaried employees, you can use their fixed salary as their base pay. 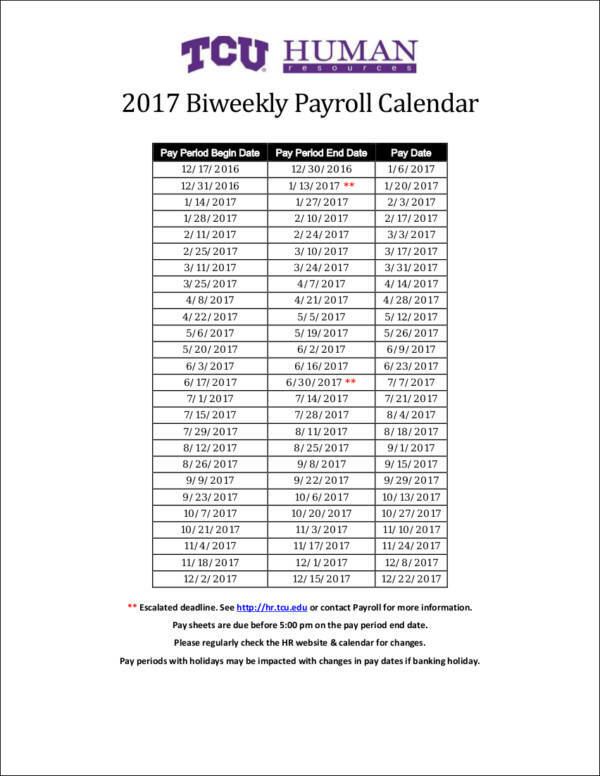 Additionally, you can use a payroll software or program to make calculations easier for you, such as a payroll hours calculator. Calculate the federal, state, and income tax deductions by using tax tables provided by your government’s tax departments. You can also calculate the income tax based on the income tax rates, depending on your state and location. Also, prepare and calculate social security and health insurance tax deductions. 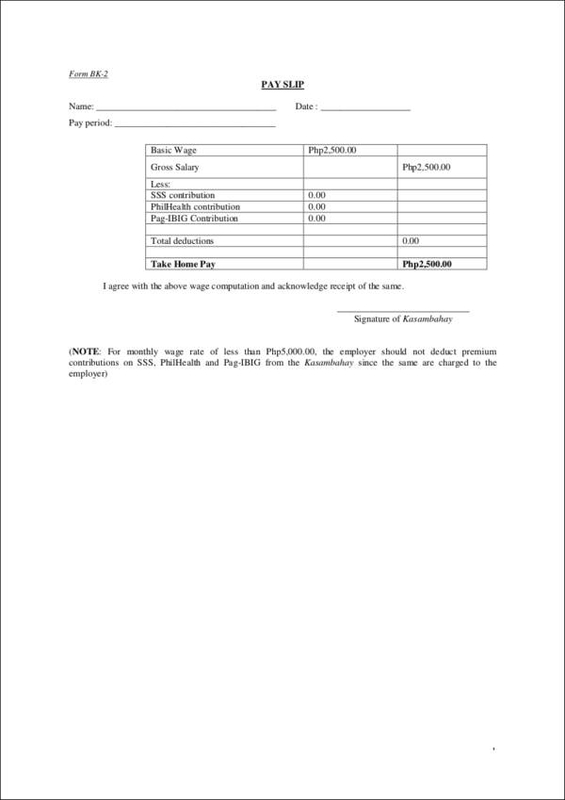 Subtract all the amounts that you have calculated in the gross pay, including the overtime pay, and other benefits to be able to come up with the net pay. It is important that you clearly specify in the paycheck, all the information or the work breakdown of all the calculations that you have made to ensure that employees have a clear understanding how a particular deduction is calculated. Now that you have calculated the deductions, ensure that you separate the amounts that you have withheld from the paycheck calculator of your employees from your business funds. 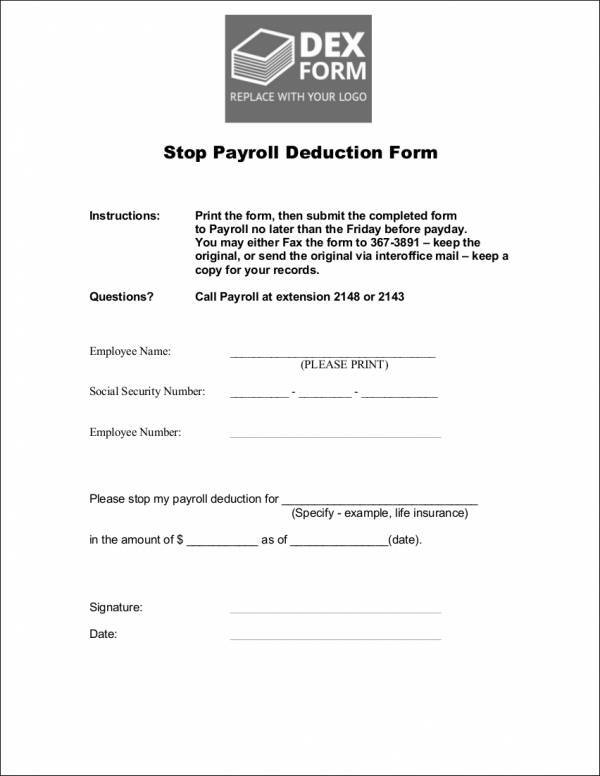 This will make it easier for you to keep track and pay payroll taxes. 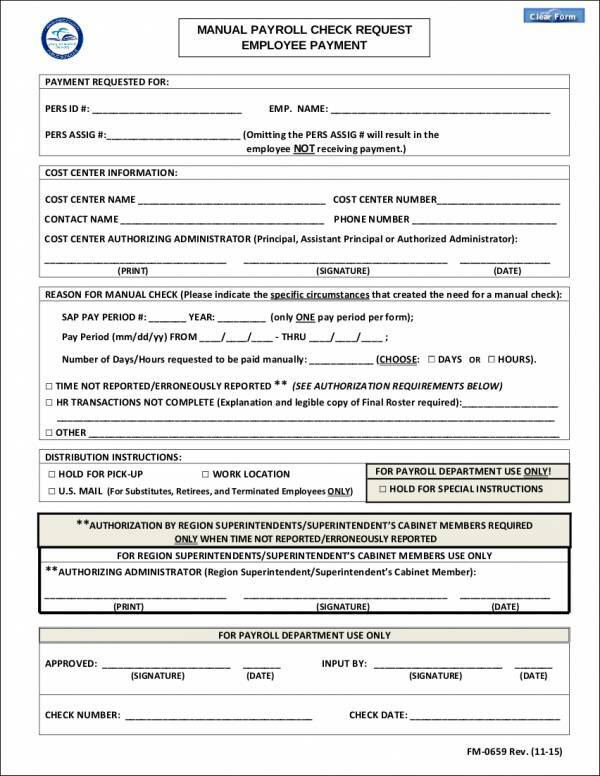 Remember to make tax deposits based on the schedule and fill out payroll tax forms regularly to avoid getting any penalties and other charges. Keeping your payroll accurate is important since it can help a business determine its profitability as well as its financial health. Through a well-crafted payroll, the business will be able to effectively evaluate a business and track the amount that the business is spending on payroll. Ensure that you follow the steps listed above for preparing your payroll tax tips to be able to have the right documents and information when setting up your payroll system. As we have previously discussed above, there are various types of payroll taxes that are deducted in an employee’s payroll for every pay period. 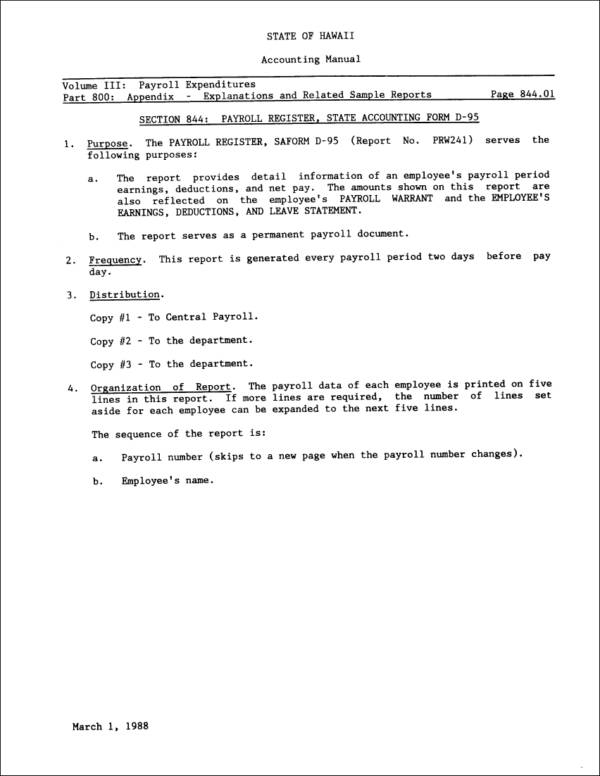 Government regulations require business payroll tax and employers to comply with these regulations. To help you further understand the different types of payroll taxes, we will discuss more of it below. An employee’s income tax depends on the amount that he/she is earning, which is indicated on the Form W-4. 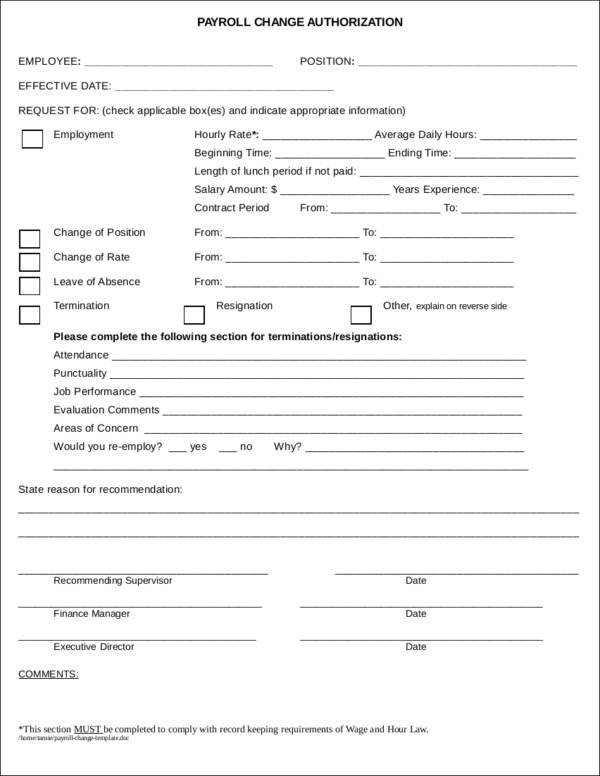 This is why it is important for an employee to adjust and provide the right information when filling out this form to avoid having problems with their taxes such as owing a large amount of taxes from the government. 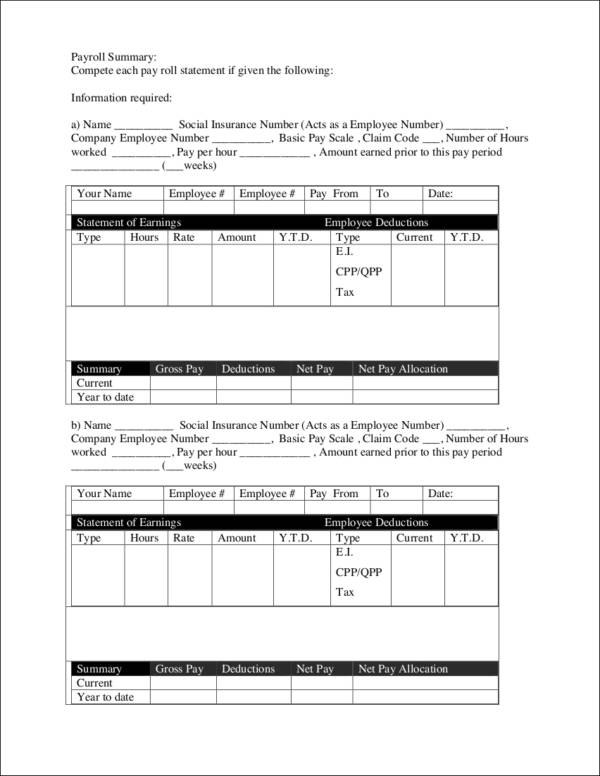 Aside from federal, state, and income taxes, a social security payroll tax is another type of payroll tax that is deducted from the paychecks of a business’s employees. Social security taxes are used by the government to pay for the benefits of people with disability, senior citizens, and survivors. Another type of payroll tax is the Medicare tax. When an individual is employed by a company or business, a Medicare tax is deducted from his/her paycheck. Both the employer payroll tax responsibility and the employee pays a percentage of the Medicare tax. The Medicare tax being collected goes to various trust funds that will help pay for an employee’s hospitalization costs and other insurance program costs. Freelance workers and independent contractors also pay taxes just like regular employees. Since they are not employed by a particular business, they do all the work such as calculating and remitting taxes to the government. Understanding the various types of taxes and their purpose is essential for you to be able to properly identify the taxes that you will need to incorporate into your blank payroll. Through this, you will have a better knowledge regarding the taxes that are required by the government that you need to deduct on your employee’s payroll. 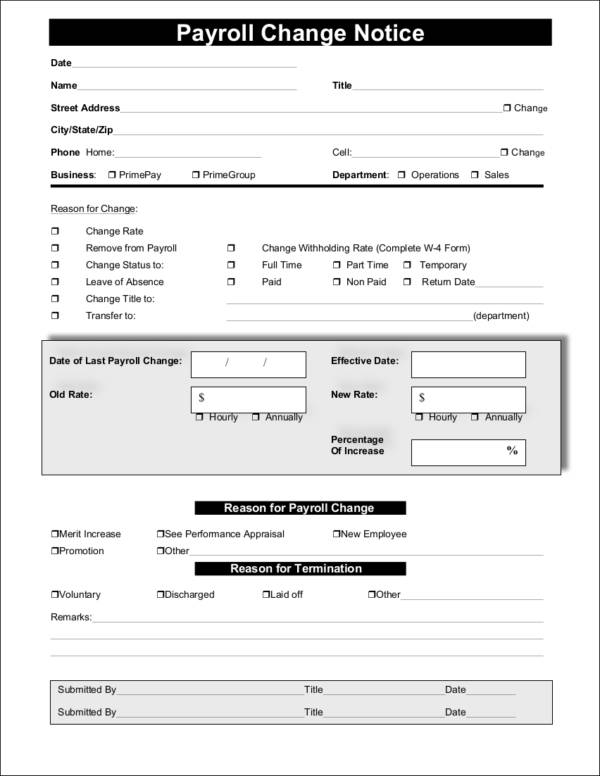 Want to handle your business payroll? Doing payroll can be a complicated and tricky process, especially with the terms that you will encounter throughout the process. Before doing your business’s own payroll, there are certain terms that you need to know to ensure that you will have an effective and usable document or tool, and also to make the process easier for you. We have listed below some of the most important terms that you will need to know about when doing your payroll. As we all know, the main purpose of having a payroll is to outline the salary or pay of a particular employee in a pay period. The gross pay refers to the amount that an employee has earned for that particular period without all the payroll deductions. The gross pay that an employee will get depends on whether he/she is paid a salary, monthly or hourly basis. Unlike the gross pay, which is the amount that is earned by the employee without all the deductions, the net pay is the total amount that the employee will get. The net pay is taken from the gross pay minus all the deductions and withholdings such as the income taxes, health insurance tax, and so on. A payroll can have various meanings. Mainly, a payroll is a document that lays out the all the necessary information regarding an employee’s payroll for a particular pay period. A payroll can also be referred to as a financial report that is used to keep all the information regarding the salaries of employees. 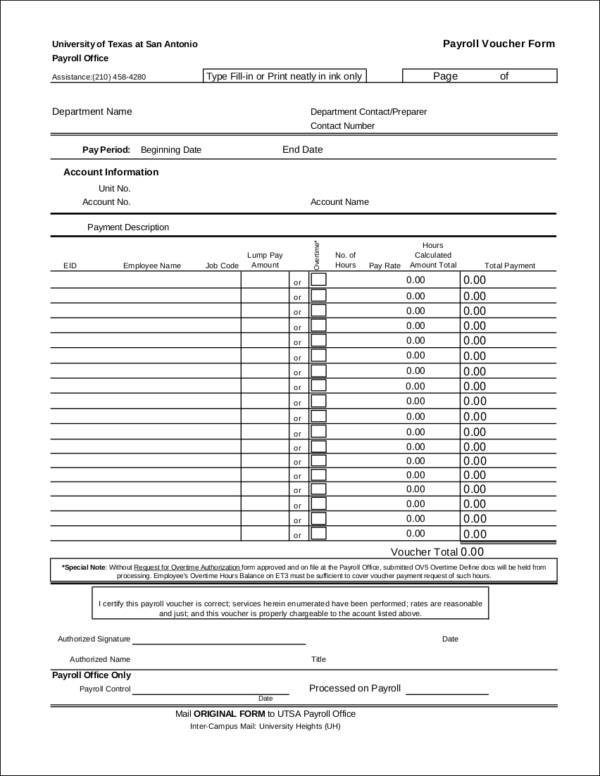 A pay period refers to the length of time in which a certain pay date covers. 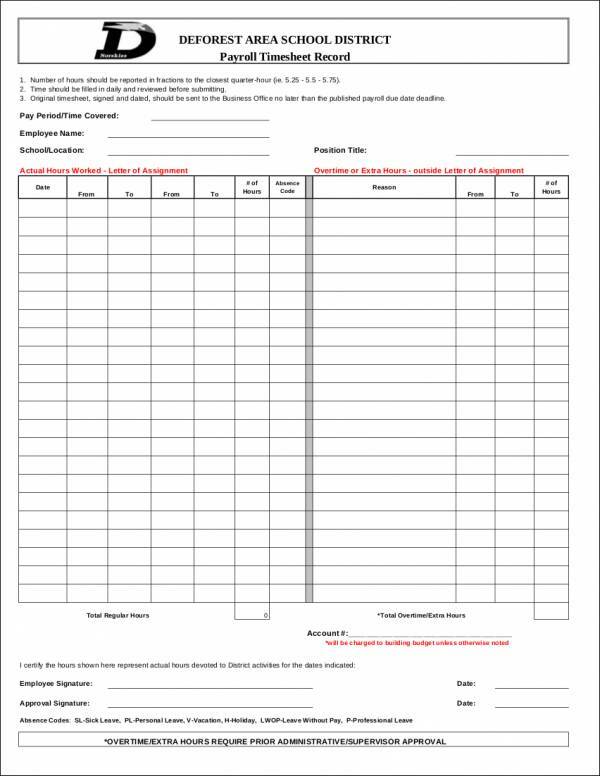 Pay periods are usually done either monthly, weekly, biweekly, or twice in a month.You can also see Monthly report template. The term withholding refers to the amounts that are deducted from an employee’s payroll or paycheck. This includes the income taxes, federal taxes, and state taxes. When an employee works for more than the time required for each day or week, he/she is given an overtime pay depending on the number of hours that he/she has worked additionally. Although the overtime request rate depends on the employer, the rate should not be less than 1.5 times what the employee earns hourly. The employees of a business are either paid an hourly rate or based on a fixed salary depending on their position or depending on how a company or business prefers to pay their employees. Salaried employees are given a fixed rate or an annual report, while hourly employees are paid on the number of hours that he/she has worked. Doing your payroll can be a time-consuming and tricky process, especially if you are new to the process. Although many companies prefer to outsource their payroll, some companies still want to do their own payroll. Here are some tips that will be useful in ensuring that your payroll is on track and that you are complying with the regulations of the government and the laws that are implemented. Properly classify the employees of the business. Classifying your employees, whether they are independent contractor, freelancers, or regular employees, is important. This is to ensure that they are paid based on their position in the company. For example, if a particular individual is working as an independent contractor, he/she should not be paid as a regular employee or vice versa. Determine whether you will be paying your employees on a salary or hourly basis. 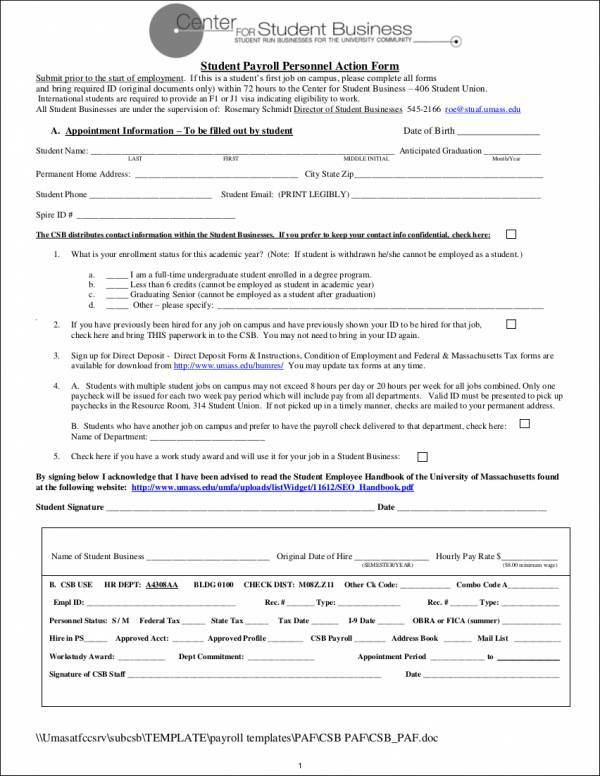 This is important specifically in determining if an employee is exempt or nonexempt of overtime calculator. Many employers prefer to pay employees on a salary basis because it is easier to manage. This is mainly because employers will not have to undergo the process of computing and determining how much a particular employee will be paid since employees on salaries are paid a fixed amount. For hourly employees, the business will need to have a system that will be used to accurately track the hours worked for each day in order to determine the compensation plan that the employer will pay their employees in every pay period. 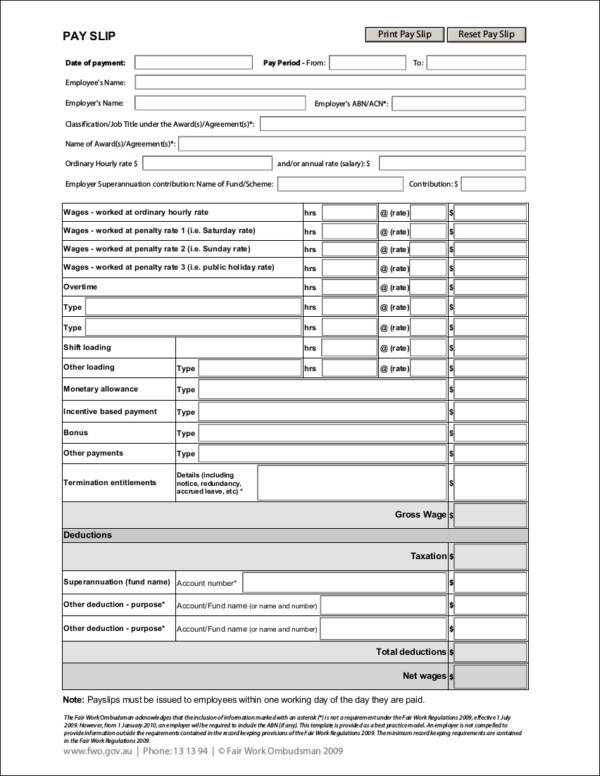 Ensure that you will include the payroll taxes that you need to pay when setting up your business’ payroll budget form. This is important in order to prevent any problems, especially when remitting or paying the taxes that you are required to pay. If you are outsourcing your payroll, you can ask the processing company to make the tax deposits for you. This is to ensure that tax deposits are done on time since paying later than the sample schedule or due date means that the business will need to pay the penalties and other charges. Always remember to have a payroll software when setting up your business’s payroll. A payroll software is an important tool in order to make it easier for the business or company to create their employees’ paychecks every pay period. A sample payroll software can also be used to record employee information and other details regarding the compensation of employees. 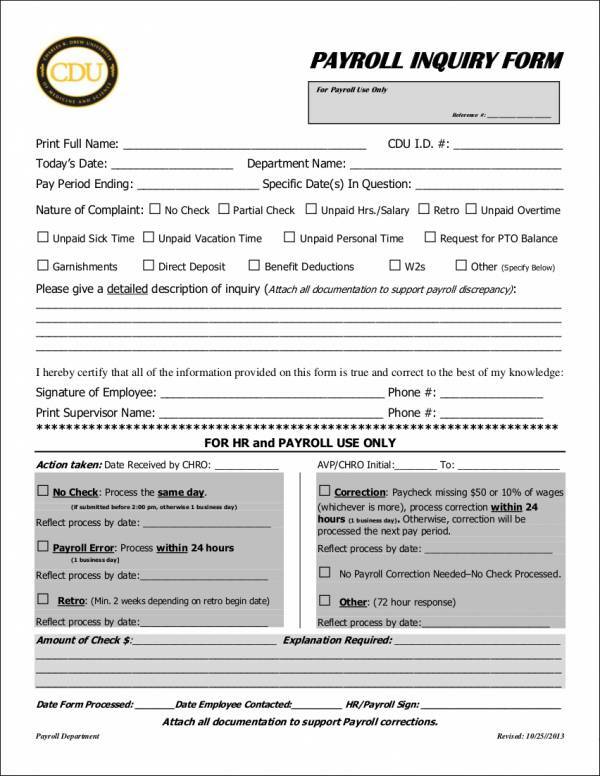 Remember to check all the information and data before finalizing the payroll. Always providing accurate data and information will help you create a highly usable, as well as a comprehensive document. 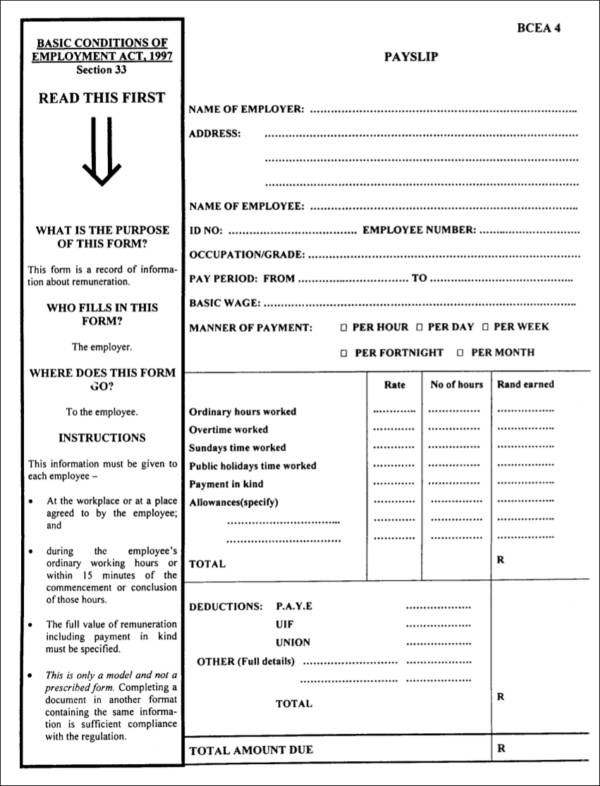 If you need help in formatting your payroll documents, you can use the various payroll templates that you can download on this page. 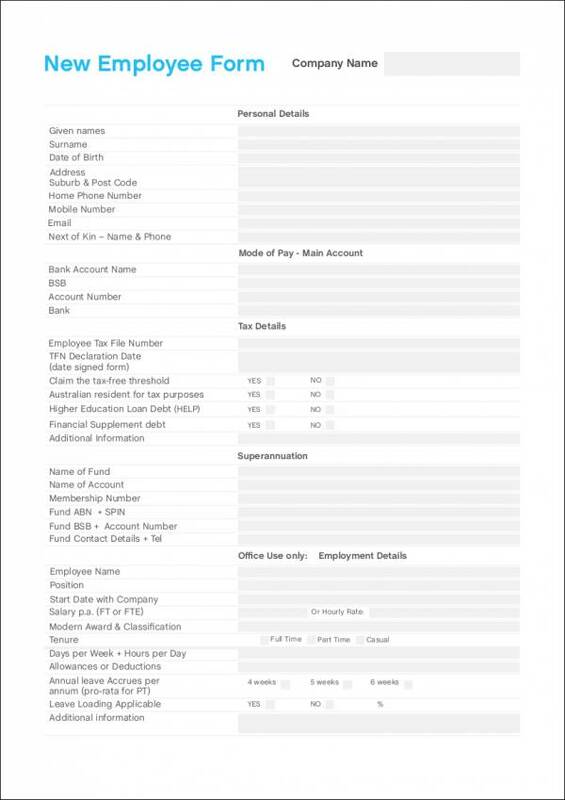 You can also browse through the various samples and templates of payroll documents in this article to make the process easier for you. The creation of a payroll involves a complicated and lengthy process especially if you do not have the right tools, system, and procedure. Proper communication and patience between the different departments of the business or company is key to a successful and organized payroll. By following the tips that we have listed above, you will be able to streamline the payroll creation process to make it easier and efficient for the employer. 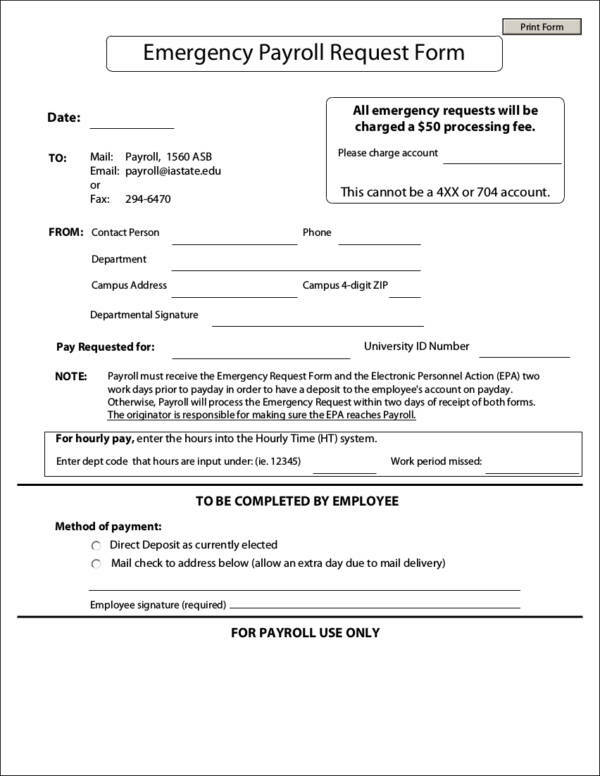 You can also see How to pay employees when you can’t make payroll. 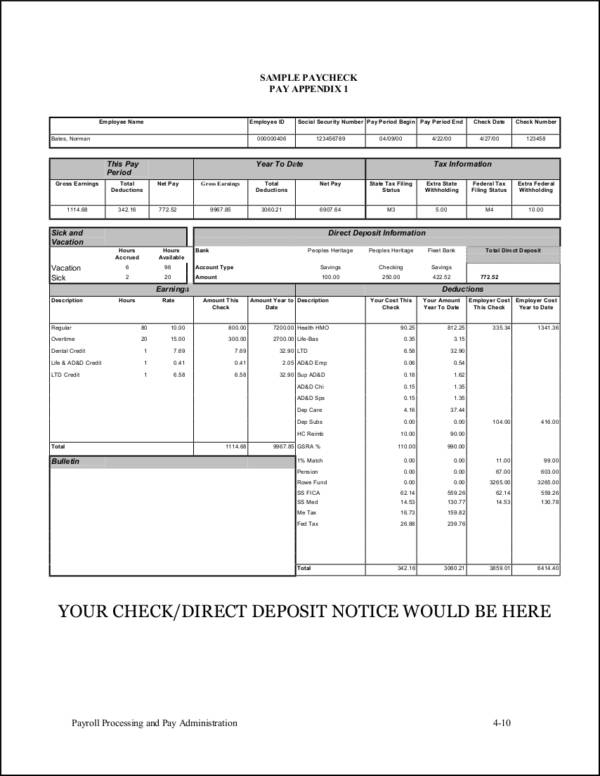 Furthermore, aside from the samples and templates that we have provided above, you can also download other samples and templates of payroll documents such as a payroll report template, a payroll timesheet calculator sample, and a payroll hours calculator template. 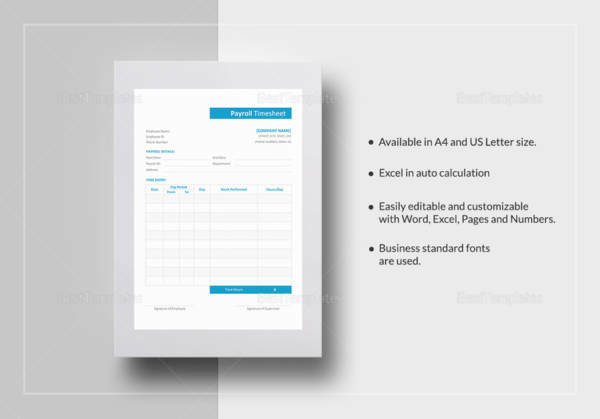 You can browse through our selection of various samples on our website should you need to create a specific business document.